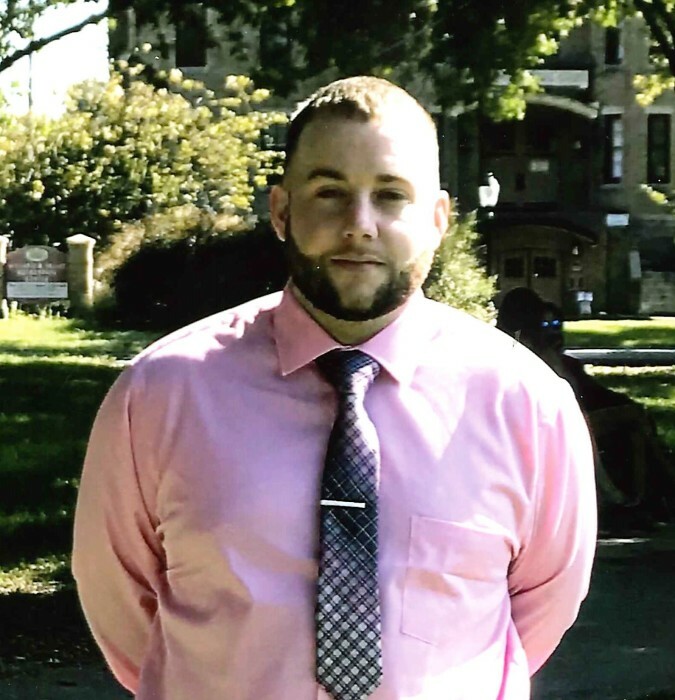 Jake Alan Stull, 24, of Frederick, Maryland, passed away on February 9, 2019. He was the loving husband of Ashley Ann (Cullen) Stull. Born on July 12, 1994, in Frederick, Maryland, he is the son of Rodney Stull and Sharon Burrier and husband Danny. Jake was a 2012 graduate of Thomas Johnson High School. He played for the TJ High School golf team. He was working in the kitchen at Barley & Hops. He was a devoted and loving husband, son, brother, step-father and friend. In addition to his wife and parents, he was survived by his step-children, Ashten K. Sanchez, Joley A. Sanchez, Julianna M. Sanchez and Brody P. Cullen; his brother, Dylan Stull and half-brothers, Jesse Burrier, Shane Burrier and Luke Burrier; his grandparents, Donald Stull and wife Lena Stull, Jeany Stull and Dolly Barry; as well as several aunts, uncles and cousins. He was preceded in death by his uncle, Donnie Stull Jr. The family will receive friends from 6-8pm on Wednesday, February 13, 2019 at Stauffer Funeral Homes, P.A., 1621 Opossumtown Pike, Frederick, MD 21702. A celebration of Jake’s life will be held at 10am on Thursday, February 14, 2019 at the funeral home. Interment will follow in Mount Olivet Cemetery. Pallbearers serving the family will be Dylan Stull, Ricky Hargett, Greg Butler, Butch Michaels, Richard Long, Shane Burrier, Luke Burrier and Herb Grim.